We’re about to hit the end of the NHL regular season, and playoff seedings are starting to take form as there are roughly 10 games left for each team. The format of the NHL’s qualification system allows for some potentially intriguing first-round playoff matchups. I’m going to take a look at a couple of these possibilities, using NHL 17 to take a quick snapshot of players from each team to give us an idea of some of the strengths of the teams. Over on this side of the pond, this could be an epic rough and tumble battle. Coming from one of these two hockey cities, we know this to be “The Battle of Ontario.” The Senators have really gotten it together this year after a little overhaul in the management and coaching ranks; newly minted GM Pierre Dorion has made some roster moves to help complement the team. Mike Condon is playing out of his mind right now, and has definitely done his part in helping Ottawa keep up their winning ways. Hard-nosed coach Guy Boucher and his no-nonsense approach to the game has also changed the way in which the Senators look in the ice, and that’s contributed to plenty of wins. The Toronto Maple Leafs have been battling to stay in the playoff conversation with their young group of players. Mike Babcock and Lou Lamoriello have turned a team that was a bottom feeder in the league into a squad that should make the playoffs for the second time in the last six seasons. Toronto, as mentioned earlier, does have a much younger core this go-round than they did in the 2012-13 season, but they have shown that when they bunker down they can get the job done. It goes without saying that there are definitely players on each team here that could take over the series, or could lend a MASSIVE helping hand to the success (or failure) of their respective team. Karlsson is the undisputed leader of this Ottawa Senators team. Arguably one of the best defenders in the NHL, the Sens will lean on Karlsson to put up points as much as they’ll need him to prevent them. Clearly showing why he was worth a first-round pick by the Leafs in the 2016 Entry Draft, Matthews has taken the league by storm in his first season. 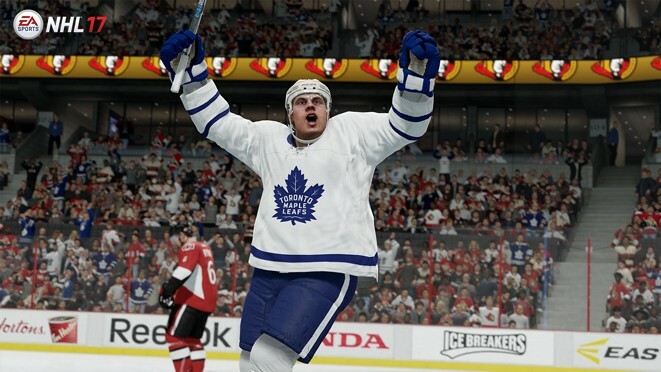 In his first game in the NHL, ironically against the Ottawa Senators, Matthews exploded and scored four goals. He’s shown time and again throughout the season that despite being a rookie he’s the future of the NHL, and doesn’t want to waste time emphasizing this in his rookie campaign. He leads the Maple Leafs in goals and points overall. He’ll definitely be a force in any series. This Eastern Conference series has the potential to be a barnburner. Both teams sport a similar record and have the same amount of points in the standings (103). Columbus has done nearly everything right this year on both sides of the ice, boasting one of the highest “Goals For” in the league on the offensive end, and the second lowest “Goals Against” on the defensive side of the puck. They’ve really shown they have what it takes to potentially make a deep playoff run. The Pittsburgh Penguins are no pushover as an opponent. Being the highest scoring team in the league by an 18-goal margin goes to show just how powerful they are on offense. They’ve also got a team that has a large amount of playoff experience. Being in all sorts of pressure situations will definitely play to the advantage of the Penguins due to the composure they should have, and the resiliency and ability to overcome hardships they may face. With their powerful offense, it should be of no surprise why they’re a top pick to make the Stanley Cup Finals out of the East. Sid the Kid. Two-time Stanley Cup Champion, countless highlights throughout his career, and the undisputed captain of the Penguins. He doesn’t have to score goals to help the team out. His vision on-ice is uncanny; he can find players and thread passes through holes where they shouldn’t fit. If he is scoring goals, every other team that has to deal with him is in trouble. His 42 goals leads the league currently, and his 40 assists has him at 82 points on the year, second in the league. His numbers clearly show he can do it all. If Sid is locked in, look out. Bobrovsky has been nothing short of spectacular in goal for the Blue Jackets this year. He leads the league in Goals against Average (1.99), Save Percentage (.934) and Wins (40); he’s second in Shutouts (7). It’s safe to say he’s playing out of his mind this year. He’ll be an extremely important piece to this playoff puzzle for Columbus. If he can keep up his level of play into the playoffs, Columbus will be a hard team to beat. Over in the West, the first big matchup here is what I’d consider a “Changing of the Guard” series. The San Jose Sharks are the usual competitors in the playoffs, but haven’t had the push needed to play for Lord Stanley’s cup. Keeping a good piece of their core intact, San Jose looks to be back and they’re looking to make a deep run this season. The Sharks do have some youth on the team, but the leadership they’ve had for a good amount of years now may be nearing its final chance to make a run at the Cup. This may be the most crucial playoff run they’ve had in the last five years. The Edmonton Oilers can be considered the babies of the league. They’ve got a very young group of players that have been accustomed to losing and battling for a draft lottery spot — until this year. After a few roster moves, including the acquisition of Milan Lucic, Edmonton is looking to make their mark and show that they’re ready to take their game to the next level. The man with the beard, Brent Burns has manned the blue line for the Sharks for six seasons now. All he’s done year in and out is get better. Burns leads the team in both overall points (72) and assists (45). He’s a force to deal with on both ends of the ice. If he can contribute on the offensive end (like he usually does) and help shut down the stars of opposing teams, San Jose has a good chance to make a deep run. Every decade or so there seems to be a player that goes from virtual unknown to monster stud in their respective minors system; they play for their country in the World Juniors and really put themselves on the map — if they weren’t already from their ridiculous numbers in the minors or highlight-reel plays. 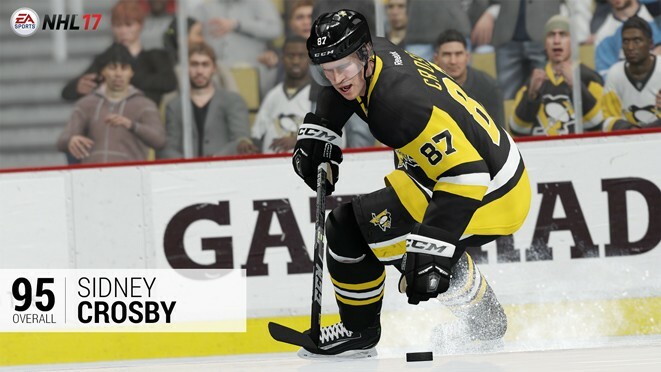 Last generation that was Sidney Crosby. Enter a new generation, and this kid went from good rookie season to DESTRUCTIVE second year campaign. Enter Connor McDavid. Leading the league in overall points (88) and assists (62), McDavid has already shown he’s a franchise player that will put up big numbers for years to come. Obviously a pivotal part of the Oilers making the playoffs for the first time in 10 years, McDavid is a key part in starting a new winning tradition in Edmonton. He’ll get his in the first round. The Minnesota Wild are looking to enter these playoffs and make it further than the second round, which has been their favorite place to be eliminated. They’ve had a great season thus far, amassing the second best record in the Western Conference. If they can keep up their ways, they stand a chance to make it further than the second round. On the other side of the ice, the Nashville Predators are looking to build on their near breakthrough last year. A good mix of youth and veteran experience, the Predators will lean heavily on their explosive first line, strong defense and veteran presence to make a deep playoff push. Eric Staal has been quite a player over his career, but took a bit of a downhill fall with the Carolina Hurricanes/New York Rangers in the 2015-16 season, where he was completely invisible in the 2015-16 playoffs with the New York Rangers. A move over to the Minnesota Wild in the 2016 offseason has revitalized his career, and Staal is on pace to have one of his highest point seasons since 2011-12. He is most likely going to be the biggest key to the success of the Wild in these playoffs. On this Nashville Predators team, the theme this year has been not only stellar play, but teamwork and balance. The X-factors to a successful playoff run will fall on multiple players. Ryan Johansen (Center, Playmaker – 89 Overall), Viktor Arvidsson (Right Wing, Playmaker – 82 Overall), Filip Forsberg (Left Wing, Sniper – 88 Overall), and P.K. Subban (Defense, 2 Way Defender – 91 Overall) are all players that will need to be at their best in order to achieve success in the playoffs. James Neal (Right Wing, Power Forward – 88 Overall), and Mike Fisher (Center, 2 Way Forward – 84 Overall) will also need to bring their best play and veteran experience to the forefront to help out their team. Who do you think will make a deep playoff run? Who do you think will give us the best first-round series? Is it one of the potential matchups that I didn’t list? Feel free to give your opinions in the comments!